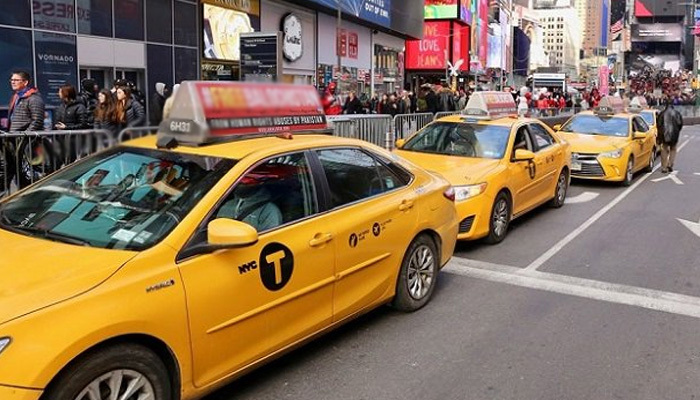 New York limits the Growth of Taxi services such as Uber and Lyft. The New York City Council will no longer issue new licenses for taxi services such as Uber and Lyft for a year. In this way, the city requires to limit the growth of the number of cars that transport services offer. In 2015 there were 12,600 taxis around the city, this year there are already 80,000. While in 2015 mainly regular yellow taxis drove around, there are now only 14,000. That is less than 20 percent of all taxis in New York. That indicates that about 80 percent of taxis drive via apps such as Uber and Lyft. These services are often cheaper than regular taxis. The rise in the number of taxi services will be a reason for a massive fall, for drivers in the income and will increase in the number of traffic jams. Mayor Bill de Blasio of New York is delighted with the temporary permit stop. He argued for a similar restriction three years ago. But a suggestion was rejected after Uber, with a massive marketing campaign, called on directors and customers to complain against the permit ban. The Blasio also wants to offer a minimum income for drivers of taxis. Uber and Lyft are possibly not pleased with the permit stop. New York is Uber’s largest market in the United States. while the city is not doing anything to fix traffic jams or improve the subway,” said Uber’s spokesperson. Traditional taxi drivers are just happy. Trade association The New York Taxi Workers Alliance describes the restriction on the website as “a historic victory for members”.